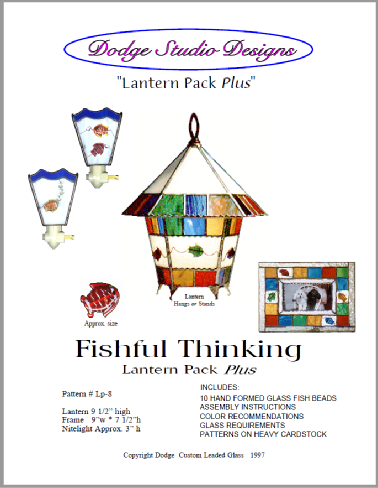 (lp-8) In a slight departure to the lantern pack tradition, the Fishful Thinking pack comes with a bonus. Patterns for a matching picture frame and night light. Pack comes with 10 cute hand worked glass fish beads. We think it's worth the price for the fish beads alone!